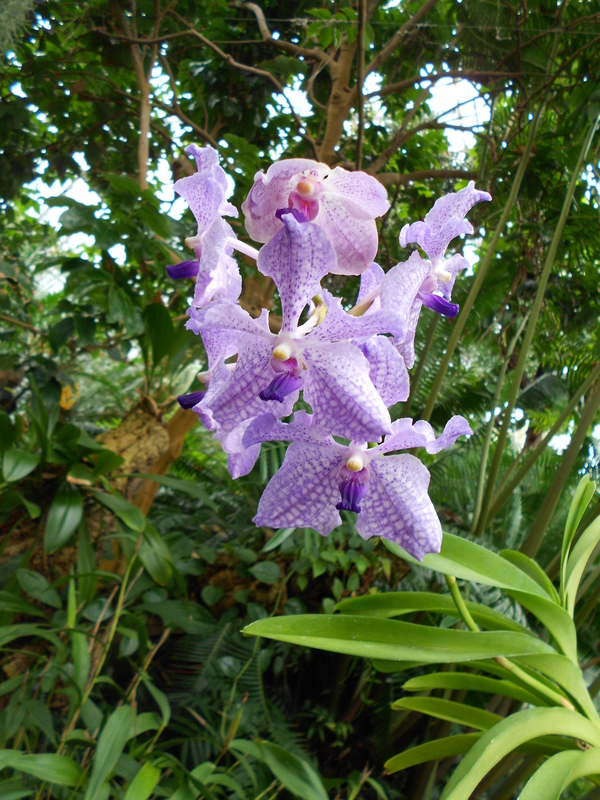 My previous blog posts about orchids have proved very popular so here is my final post from my visit to see the orchid collection at the Royal Botanical Gardens in Edinburgh. Whilst on a tour around the greenhouses we came across a very interesting orchid, the Vanda coerulea supra, it is a hybrid species, violet blue in colour. 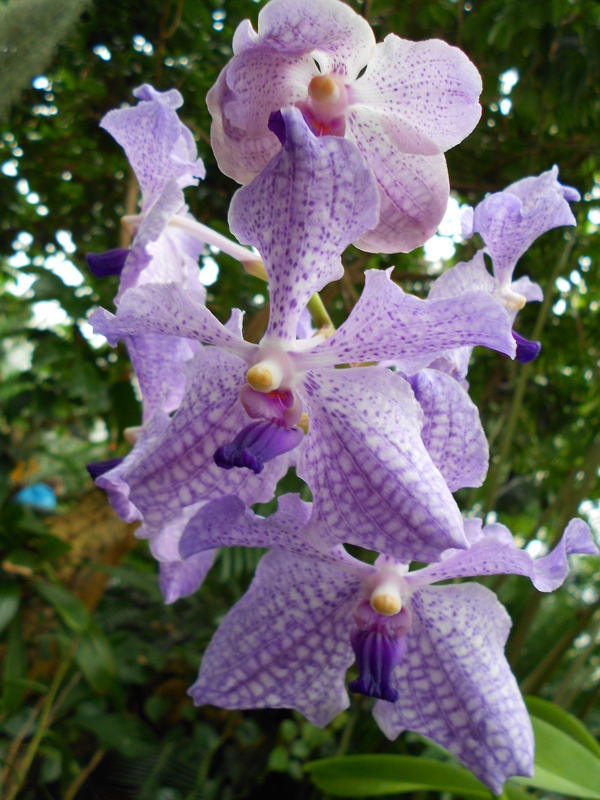 Vanda is an orchid genus which is highly evolved; it is widespread in East Asia and South-east Asia. This species is unusual as not many flowers in nature are blue. Flowers are often yellow or red as pollinators are attracted to these colours. One reason blue flowers are rare in nature is that the colour blue is not attractive to pollinators; consequently blue flowers have not evolved. Blue flowers are created artificially by humans selecting desired characteristics in species bred over several generations, or by hybridising two different species of orchids. 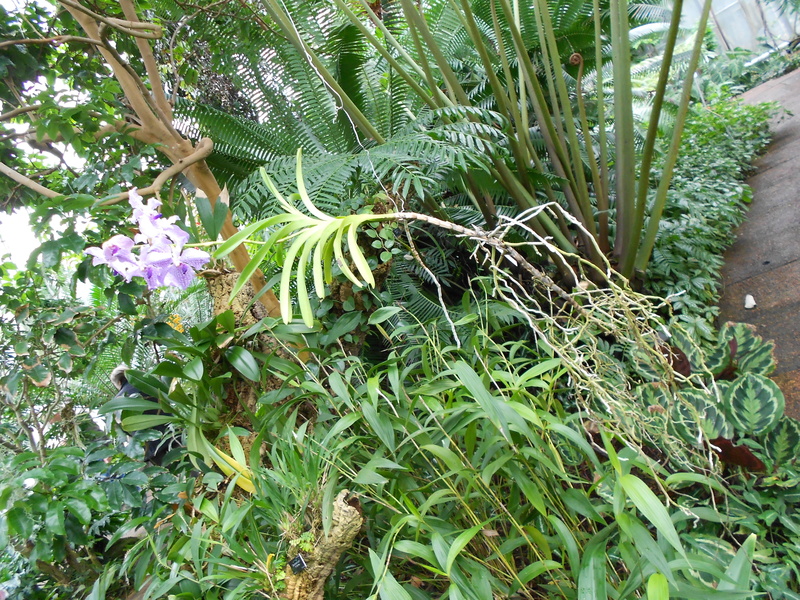 Another notable feature of this specimen of Vanda is that it is growing in the air; this plant is gaining all of its nutrients from the atmosphere. This is possible as it has an organ called a velum within the root structures, which is highly efficient at extracting nutrients. 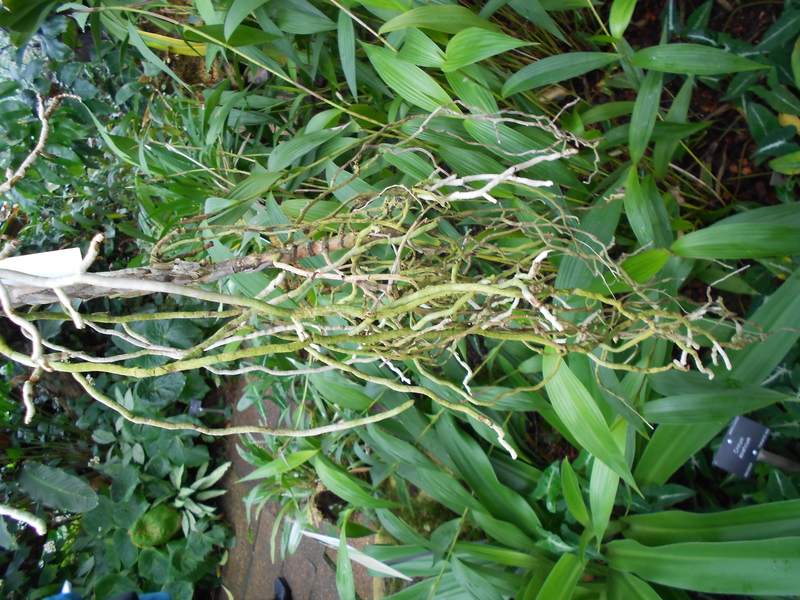 This species is epiphytic and is very resourceful at using only a small amount of nutrients. 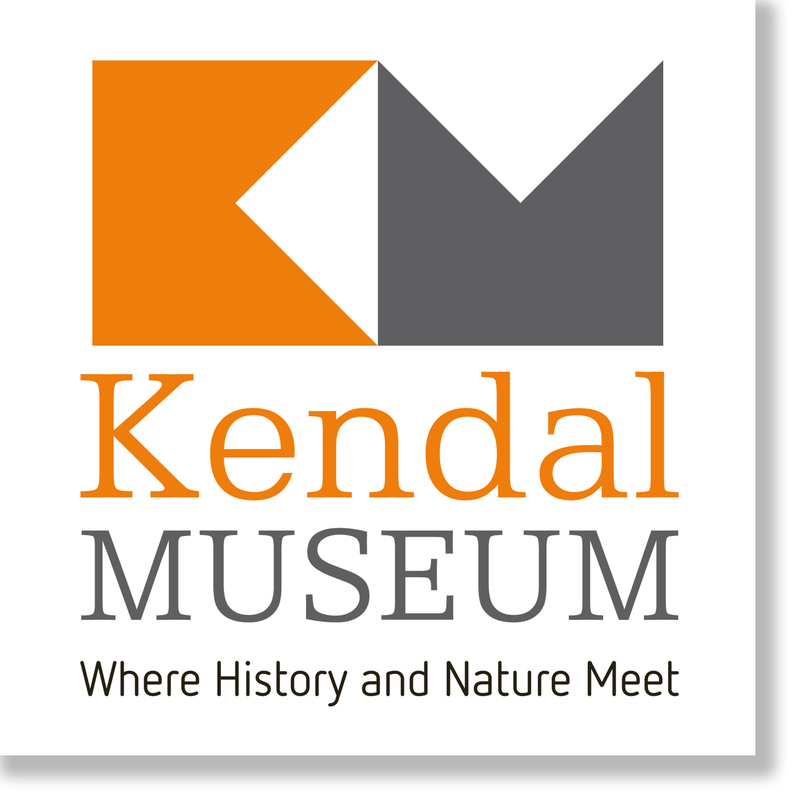 The Martindale herbarium collection at Kendal museum is currently being digitised it is a large collection containing over 4000 specimens, including some beautiful orchid specimens collected locally in Cumbria. Images of the collection will soon be available to view on new website launching in November 2015.